Four people were killed and five injured October 15 2009 in a major traffic accident on the Sun Yat-sen Freeway near Changhua County in central Taiwan. The accident, which took place at 11:52 a.m., was closely related to a previous accident that had occurred 14 hours earlier. At roughly 10 p.m. the day before, a tanker full of butane was travelling on the northbound section of the freeway when its driver saw that the small truck in front of him had turned over as a result of a flat tire. Attempting to avoid the small truck, the driver of the tanker swerved and hit the guard rail on the side of the road. He and the driver of the small truck were both slightly injured. Fearful that the butane tanker might explode, police officers sealed off the outer two lanes of the freeway. This caused an enormous traffic jam that stretched back for more than 10 kilometers. The scene still had not been cleared up the following morning, when the driver of a bus belonging to United Bus Co. was travelling along the same freeway en route from Tainan to Taichung. Though the traffic in front of him had crept to a complete standstill, the bus driver did not slow down but kept going. The bus slammed first into an armored vehicle directly ahead of it and then continued traveling along the inner and middle lanes. After hitting a total of 13 vehicles the bus finally came to a standstill on the outer lane of the freeway. It left behind a scene of devastation, wailing, tears and shock. Some cars were completely mangled; others had been turned upside down. Some passengers were hit with such force that they were hurled out of their cars; others were trapped immobile inside their vehicles. The bus driver said he was traveling between 60 and 70 kilometers per hour at the time of the accident. A van stalls out on train tracks in Buenos Aires, and a good citizen manages to push the car to safety just before a train barrels through it. 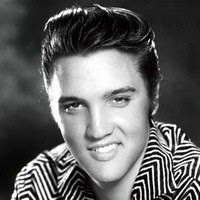 Presley began his career in 1954 as one of the first performers of rockabilly, an uptempo fusion of country and rhythm and blues with a strong back beat. His novel versions of existing songs, mixing "black" and "white" sounds, made him popular—and controversial as did his uninhibited stage and television performances. Presley had a versatile voice and he had unusually wide success encompassing many genres, including rock and roll, gospel, blues, country, ballads and pop. To date, he has been inducted into four music halls of fame. Presley's final performance was in Indianapolis at the Market Square Arena, on June 26, 1977. According to many of his entourage who accompanied him on tour, it was the "best show he had given in a long time" with "some strong singing".Another tour was scheduled to begin August 17, 1977, but at Graceland the day before, Presley was found unresponsive on the floor of his suite by fiancée, Ginger Alden, and attempts to revive the singer failed.Death was officially pronounced at 3:30 pm at the Baptist Memorial Hospital.Before his funeral, hundreds of thousands of fans, the press and celebrities lined the streets and many hoped to see the open casket in Graceland. One of Presley's cousins, Billy Mann,accepted $18,000 to secretly photograph the corpse; the picture duly appeared on the cover of the National Enquirer, making it the largest and fastest selling issue of all time. Two days after the singer's death, a car plowed into a group of 2000 fans outside Presley's home, killing two women and critically injuring a third. On Thursday, August 18, following a funeral service at Graceland,Elvis Presley was buried at Forest Hill Cemetery in Memphis, next to his mother. After an attempt to steal the body on August 28,and with no signs of security concerns at the cemetery abating,his—and his mother's—remains were reburied at Graceland in the Meditation Garden in October.Presley had developed many health problems during his life, some of them chronic.Opinions differ regarding the onset of his drug abuse. In 1994, the autopsy into Presley's death was re-opened. Coroner Dr. Joseph Davis declared: "There is nothing in any of the data that supports a death from drugs [i.e. drug overdose]. In fact, everything points to a sudden, violent heart attack.However, there is little doubt that polypharmacy/Combined Drug Intoxication caused his premature death. The death of Michael Jackson occurred after he suffered cardiac arrest at his home in Holmby Hills, Los Angeles, California on June 25, 2009. He was treated by paramedics at the scene, but was pronounced dead at the Ronald Reagan UCLA Medical Center. 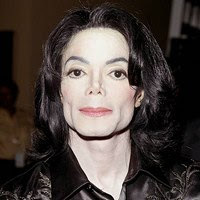 His personal physician, Conrad Murray, stated he found Jackson in his room, not breathing but with a faint pulse, and administered CPR to no avail. While initial reports discussed the possible role of painkillers in Jackson's death, attention later turned to the medications he reportedly took for insomnia, most notably the anesthetic propofol (Diprivan).On August 28, the Los Angeles County Coroner released an official statement saying that Jackson's death was a homicide caused by the combination of drugs in his system. Before his death, Jackson reportedly had been administered propofol, lorazepam and midazolam. Law enforcement officials are conducting a manslaughter investigation of his personal physician, who has told investigators that he had been trying to wean Jackson off of propofol. His death triggered an outpouring of grief around the world, creating surges of Internet traffic and causing sales of his music and that of the Jackson 5 to soar. He had been scheduled to perform the This Is It concert tour to over one million people at London's O2 arena, from July 13, 2009 to March 6, 2010. His memorial on July 7, 2009 at the Staples Center in Los Angeles, where he had rehearsed for the London concerts just two days before his death, was broadcast live around the world, attracting a global audience of up to one billion people. 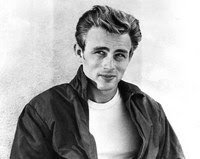 Dean's status as a cultural icon is best embodied in the title of his most celebrated film, Rebel Without a Cause, in which he starred as troubled high school rebel Jim Stark. The other two roles that defined his star power were as the awkward loner Cal Trask in East of Eden, and as the surly farmer Jett Rink in Giant. His enduring fame and popularity rests on only these three films, his entire output in a starring role. His death at an early age cemented his legendary status. He was the first actor to receive a posthumous Academy Award nomination for Best Actor and remains the only person to have two posthumous acting nominations (although other people had more than one posthumous nomination in other Oscar categories). In 1999, the American Film Institute ranked Dean the 18th male movie star on their AFI's 100 Years…100 Stars list. He died in terrible car crash. Marilyn Monroe was found dead in the bedroom of her Brentwood, Los Angeles, California, home by her live-in housekeeper Eunice Murray on August 5, 1962. She was 36 years old at the time of her death. Her death was ruled to be "acute barbiturate poisoning" by Dr. Thomas Noguchi of the Los Angeles County Coroners office and listed as "probable suicide." Many individuals, including Jack Clemmons, the first Los Angeles Police Department officer to arrive at the death scene, believe that she was murdered. No murder charges were ever filed. The death of Marilyn Monroe is arguably one of the most debated conspiracy theories of the twentieth and twenty-first centuries. The death of Formula One triple world champion Ayrton Senna, on May 1, 1994, resulted from a crash that occurred while he was leading the 1994 San Marino Grand Prix at the Autodromo Enzo e Dino Ferrari in Italy. The accidents of Senna and Roland Ratzenberger (the previous day) were the first fatal accidents in Formula One in 12 years, and were the worst of several accidents to take place during the race meeting. There have been many attempted explanations for the cause of his death, but no consensus has been reached. His death was a turning point in the safety of Formula One, as many safety measures have since been implemented. The Grand Prix Drivers' Association was reformed later in 1994, and the association has contributed to these changes. Diana, Princess of Wales, was the first wife of Charles, Prince of Wales. Their sons, Princes William and Harry are second and third in line to the thrones of the United Kingdom and fifteen other Commonwealth Realms. 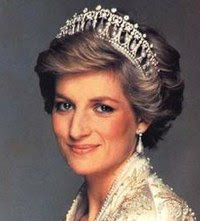 A public figure from the announcement of her engagement to Prince Charles, Diana remained the focus of near-constant media scrutiny in the United Kingdom and around the world before, during and after her marriage, even in the years following her sudden death in a car crash, which was followed by a spontaneous and prolonged show of public mourning. Contemporary responses to Diana's life and legacy were mixed but a popular fascination with the Princess endures. The long-awaited Coroner's Inquest concluded in April 2008 that Diana had been unlawfully killed by the negligent driving of the following vehicles and the driver of the Mercedes in which she was travelling. 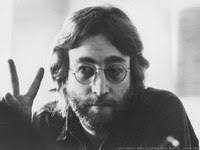 John Lennon was an English rock musician who gained worldwide fame as one of the founders of The Beatles, for his subsequent solo career, and for his political activism. He was shot to death by Mark David Chapman at the entrance of the building where he lived, The Dakota, on Monday, 8 December 1980; Lennon had just returned from the Record Plant Studio with his wife, Yoko Ono. Lennon was pronounced dead on arrival at St. Luke's-Roosevelt Hospital Center, where it was stated that nobody could have lived for more than a few minutes after sustaining such injuries. Shortly after local news stations reported Lennon's death, crowds gathered at Roosevelt Hospital and in front of The Dakota. He was cremated on 10 December 1980, at the Ferncliff Cemetery in Hartsdale, New York; the ashes were given to Ono, who decided not to hold a funeral for him. Freddie Mercury (5 September 1946 – 24 November 1991) was a British musician, best known as the frontman of the rock band Queen. As a performer, he was known for his vocal prowess and flamboyant performances. As a songwriter, he composed many international hits, including "Bohemian Rhapsody", "Killer Queen", "Somebody to Love", "Don't Stop Me Now", "Crazy Little Thing Called Love", and "We Are the Champions". Fronted by Mercury, Queen went on to sell more than 300 million albums internationally. 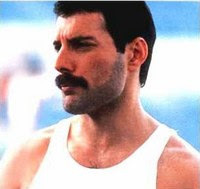 According to his partner Jim Hutton, Mercury was diagnosed with AIDS shortly after Easter of 1987.Around that time, Mercury claimed in an interview to have tested negative for the virus.Despite the denials, the British press pursued the rampant rumours over the next few years, fuelled by Mercury's increasingly gaunt appearance, Queen's absence from touring, and reports from former lovers to various tabloid journals. Toward the end of his life, he was routinely stalked by photographers, while the daily tabloid newspaper The Sun featured a series of articles claiming that he was seriously ill.
On 22 November 1991, Mercury called Queen's manager Jim Beach over to his Kensington home, to discuss a public statement. The next day, 23 November, the following announcement was made to the press on behalf of Mercury. Following the enormous conjecture in the press over the last two weeks, I wish to confirm that I have been tested HIV positive and have AIDS. I felt it correct to keep this information private to date to protect the privacy of those around me. However, the time has come now for my friends and fans around the world to know the truth and I hope that everyone will join with me, my doctors, and all those worldwide in the fight against this terrible disease. My privacy has always been very special to me and I am famous for my lack of interviews. Please understand this policy will continue. A little over 24 hours after issuing the statement, Mercury died on 24 November 1991 at the age of 45. The official cause of death was bronchial pneumonia resulting from AIDS. Aaliyah Dana Haughton (January 16, 1979 – August 25, 2001), who performed under the mononym Aaliyah (pronounced /??li? ?/), was an American recording artist, actress and model. She was born in Brooklyn, New York, and was raised in Detroit, Michigan. At an early age, she appeared on the television show Star Search and performed in concert alongside Gladys Knight. At age 12, Aaliyah was signed to Jive Records and Blackground Records by her uncle, Barry Hankerson. He introduced her to R. Kelly, who became her mentor, as well as lead songwriter and producer of her debut album, Age Ain't Nothing But a Number. The album sold two million copies in the United States and was certified double platinum by the Recording Industry Association of America (RIAA). 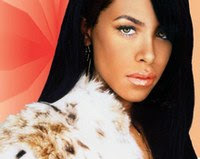 After facing allegations of an illegal marriage with Kelly, Aaliyah ended her contract with Jive and signed to Atlantic Records.Aaliyah worked with record producers Timbaland and Missy Elliott for her second album, One in a Million; it sold two million copies in the United States and over eight million copies worldwide. In 2000, Aaliyah appeared in her first major film, Romeo Must Die. She contributed to the film's soundtrack, which spawned the single "Try Again". The song topped the Billboard Hot 100 solely on airplay, making Aaliyah the first artist in Billboard history to achieve this feat. "Try Again" earned Aaliyah a Grammy Award nomination for Best Female R&B Vocalist. After filming Romeo Must Die, Aaliyah filmed her part in Queen of the Damned. She released her third and final album, Aaliyah, in 2001. On August 25, 2001, Aaliyah and eight others were killed in an airplane crash in The Bahamas after filming the music video for the single "Rock the Boat". The pilot, Luis Morales III, was unlicensed at the time of the accident and had traces of cocaine and alcohol in his system. Aaliyah's family later filed a wrongful death lawsuit against Blackhawk International Airways, which was settled out of court. Since then, Aaliyah has achieved commercial success with several posthumous releases. Selling over 24 million records worldwide, she has been credited for helping redefine R&B and hip hop and has been named the "Queen of Urban Pop". Morrison died on July 3, 1971. In the official account of his death, he was found in a Paris apartment bathtub by Courson. Pursuant to French law, no autopsy was performed because the medical examiner claimed to have found no evidence of foul play. The absence of an official autopsy has left many questions regarding Morrison's cause of death. Herve Muller has reported that he believes that Jim died of a heroin overdose at the RnR Circus. This is corroborated by the manager of the club Sam Bernett in a 2007 interview, and subsequent book. Morrison was buried at Père Lachaise Cemetery on July 7. 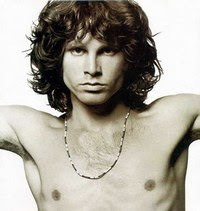 Morrison died at age 27, the same age as several other famous rock stars. Kurt Cobain was found dead at his home in Seattle, Washington, United States on April 8, 1994. Cobain, the lead singer of the American grunge band Nirvana, had checked out of a drug rehabilitation facility and been reported suicidal by his wife Courtney Love. The Seattle Police Department incident report states that Cobain was found with a shotgun across his body, had a visible head wound and there was a suicide note discovered nearby. The King County Medical Examiner noted that there were puncture wounds on the inside of both the right and left elbow. The Seattle Police Department investigated, and after an autopsy by the King County Coroner's Office, Cobain's death was ruled a suicide by a single gunshot blast coming from his jaw then exiting through the top of his head. 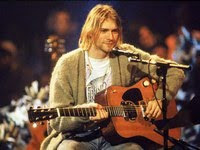 Despite the official ruling, several theories have arisen offering alternate explanations for Cobain's death. Tom Grant, a private investigator hired by Cobain's wife Courtney Love to find Cobain after his departure from rehab, put forth his belief that Cobain was murdered. Grant's theory has since been analyzed and questioned by television shows, films, and books. Authors and filmmakers have also attempted to explain what might have happened during Cobain's final days, and what might have led him to suicide. Shakur became the target of lawsuits and experienced other legal problems. He was later shot five times and robbed in the lobby of a recording studio in New York City. 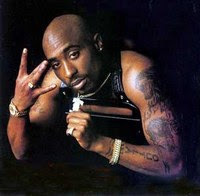 Following the event, Shakur grew suspicious that other figures in the rap industry had prior knowledge of the incident and did not warn him; the controversy helped spark the East Coast–West Coast hip hop rivalry. Shakur was later convicted of sexual assault and sentenced to one and half to four and a half years in prison. After serving eleven months of his sentence he was released from prison on an appeal financed by Marion "Suge" Knight, the CEO of Death Row Records. In exchange for Suge's assistance, Shakur agreed to release three albums for the Death Row label.